Pokémon: Detective Pikachu stars Ryan Reynolds as the voice of Pikachu. His former human partner, Harry, goes missing. 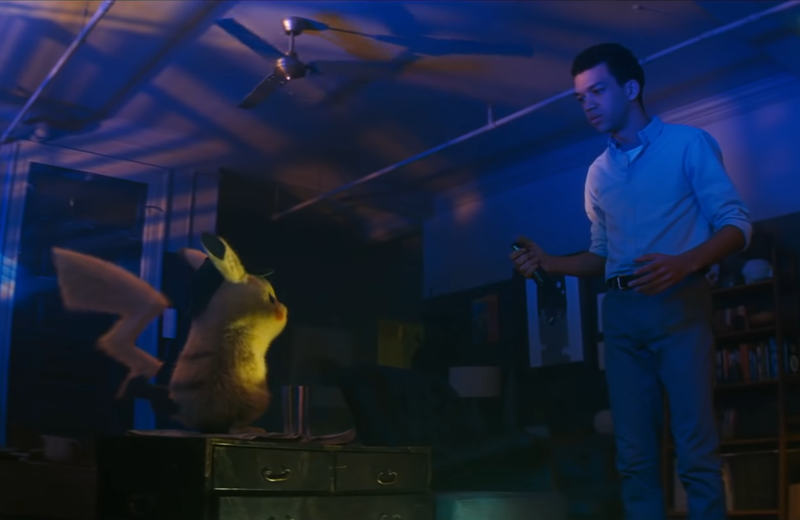 Harry's son Tim is already on the case when he finds Pikachu has broken into his apartment to look around. 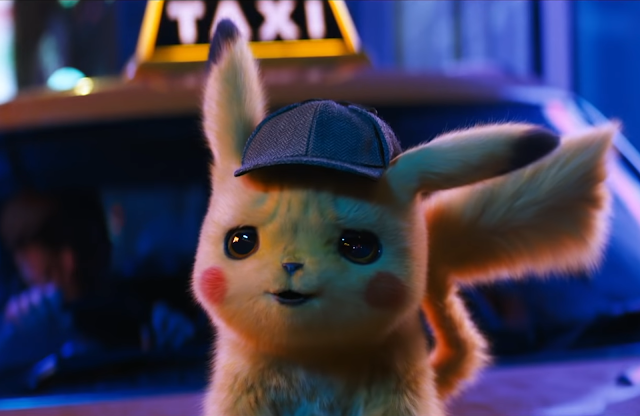 Interestingly enough, Tim is the only human that can understand what Pikachu is saying; everyone else only hears the usual "pika pika!" The film stars Justice Smith as Tim, Kathryn Newton as junior reporter Lucy, and Oscar nominee Ken Watanabe at Lt. Yoshida. Behind the scenes, there are other Oscar nominees (and even a winner) working on the film: the director of photography is John Mathieson, and the editor is Oscar-winner Mark Sanger. It is directed by Rob Letterman (who directed Goosebumps, but we'll try not to hold that against him).